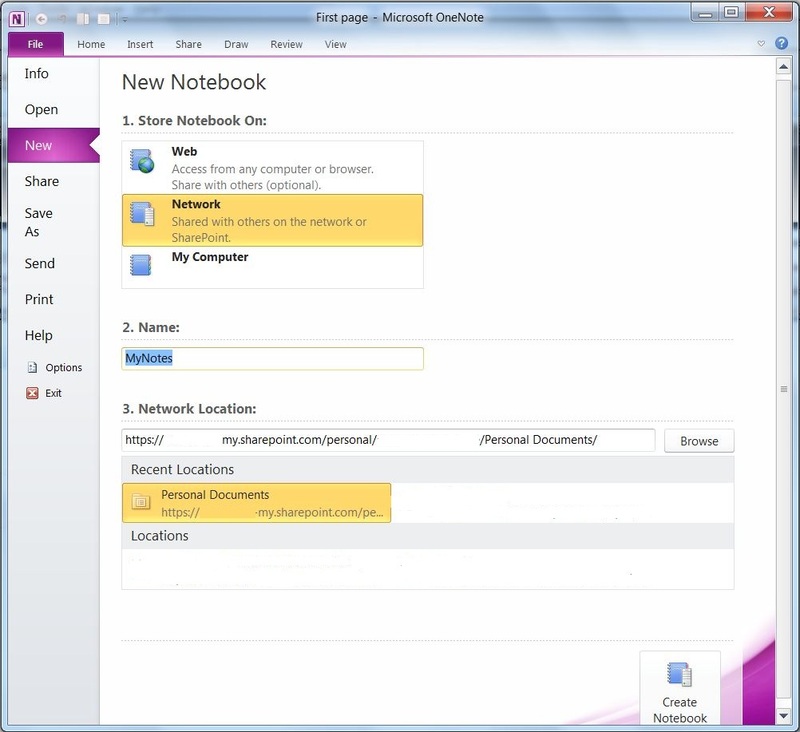 SharePoint My Site is a handy place to store your personal notes, and here is 1 way to make it accessible to from OneNote. 3. In the Connect & Export group, click Connect to Office, this makes your Personal Documents library available in OneNote. Now your personal document library is available from OneNote, so fire up OneNote and either create a new OneNote or select an existing OneNote and share using the SharePoint library. Depending on how your organisation has setup authentication, you may have to provide Office 365 credentials as part of the synching process. Also you may only store OneNotes in document libararies, which library you choose is up to you and it could just as easily be a project workspace library. The beauty of this is that you can now work offline and your changes will be synced up when you reconnect. Office 365 work from anywhere is starting to become a reality.